A RAAF Boeing P-8A Poseidon has taken part in a search and rescue mission for the first time, when an aircraft on a routine training mission responded to a mayday call from a stricken dolphin cruise boat. The MV Port Princess issued a mayday call around 1pm on Tuesday when off the South Australian coast near Port Macdonnell after the vessel had begun taking on water following an engine failure. The RAAF P-8A, callsign ‘Blackcat 20’, intercepted the mayday call and assisted the rescue of the MV Port Princess‘s four crew by providing communications assistance and relaying realtime imagery of the stricken vessel to the Australian Maritime Safety Authority’s Rescue Coordination Centre in Canberra. The crewmembers were rescued by a fishing boat from Port Macdonnell, before the Port Princess, which was in transit from Port Adelaide to a new owner in Victoria, sank. “This is the first search and rescue response completed by the P-8A Poseidon since the aircraft’s arrival into Australia last November. The Poseidon is still undergoing test and evaluation activities before a formal introduction into service,” executive officer for No. 92 Wing, Wing Commander Brett Williams, said in a statement. 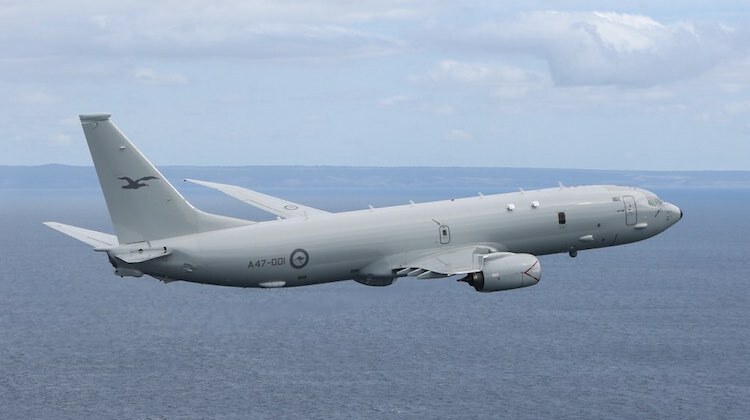 Twelve P-8As are on order for the RAAF (with a further three expected to be acquired to take the total fleet to 15), the first of which arrived in Australia late last year. The P-8As are due to be equipped with a search and rescue kit which will include air droppable inflatable rafts and survival supplies. A tender for the SAR rescue kit for the RAAF’s P-8As, which closed in February 2016, had a planned ‘timeframe for delivery’ of the first quarter of 2018. A great capability that will save lives. Well done Oz gov and RAAF. Great aircraft! would be cool to see a flying boat with the same capabilities added to being able to land and pick up survivors! Great aircraft, would love to see the old fleet kept and converted to water bombers for the bush fires that all of Australia will be effected by yearly. Michael while the Bush fires in Australia get very bad, realisticly the Bushfire seasom is a fairly short period of around 3-4 months, so most of the time the people involved in such a organization is going to be sitting around doing nothing but the occasional trg sortie and maintaining The Aircraft and they will have to housed and maintained 12 months a year. The Orions are a very old design and an Orphan in Australia so you would need to invest a lot of resources to keep the personal trained, the cost would just be to high, i think you would find it cheaper to continue to lease Aircraft from North America where they are not needed at that time of year and the companies are looking for the work. This would be chicken-feed for a P-8. All in a day’s work so to speak. I bet they have already been involved in monitoring Russian sub movements which we haven’t been told about, and won’t ever be told about either! Vale P-3cs. Long live the P-8s! As an island nation, these will serve us well with their greater range and speed. Scrap the French-designed subs. Who needs them? These are all we need. this is starting to sound like a riot. But either way, it’s good to see it operating and helping out. 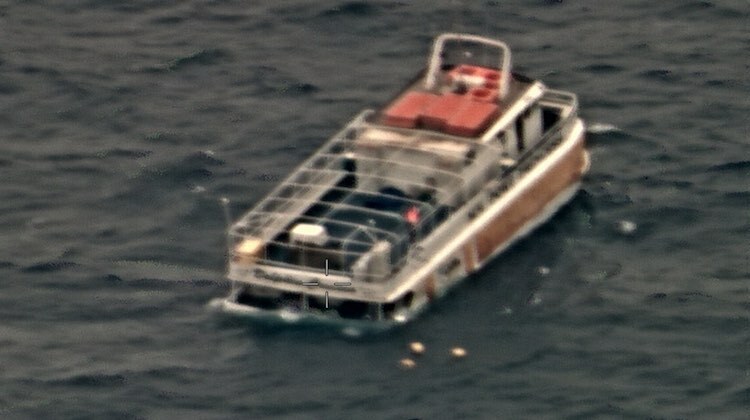 What happened to the Dolphin Cruise boat? Sad to see them lose their livelihood but great they all got home safe.